In Wild Angel, Sarah sits by the river with her mother, watching her father pan for gold. The calm of the California hills is broken by a rifle shot, the start of an ambush that leaves Sarah’s parents murdered and scalped and forces the three-year-old to flee into the woods. Hungry, cold, and terribly lost, she is rescued by a she-wolf named Wauna, who feeds Sarah as if she were one of her own pups. As Sarah grows up among the wolves, she will tame the wilderness, and her adventures—chronicled by a writer named Max Merriwell—will make her a legend of the frontier. 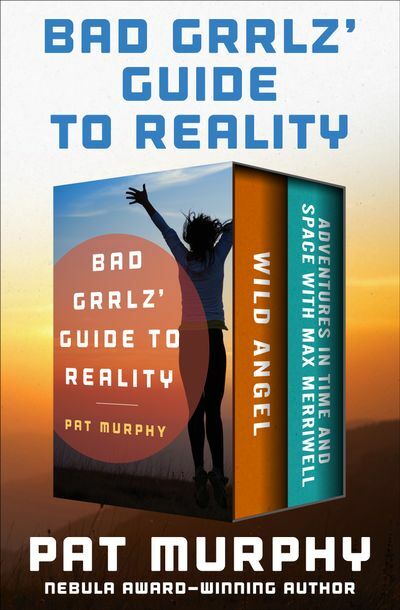 Unlike the hero of Wild Angel, the women of Adventures in Time and Space with Max Merriwell do not expect danger when they set off on their journey. But when Pat and Susan’s cruise ship sails into the Bermuda Triangle, reality begins to twist. As supernatural creatures menace the ship, these two would-be vacationers will have no choice but to hang on for the ride.